I don’t know about you, but I often find myself going to the internet for everything these days. Want to see a new recipe? Go to the web. Need to know where the new dry cleaner is? Go to the internet. 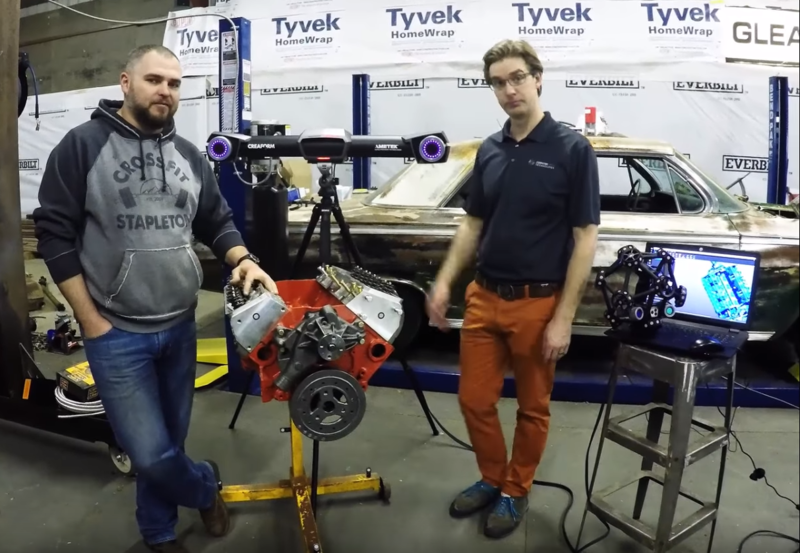 What is the correct firing order for a small block Ford engine? Go to the web. As a car person, I find myself reading blogs or watching videos regularly to learn new tips and tricks on how to make the process shorter and limit the number of “adult” words used while performing the task. Coffee and CAM is a new video series that aims to answer questions like these as they relate to manufacturing. As more and more people are starting to get into the world of manufacturing, it is important to have a place where people can go to see how others approach manufacturing in a real-world environment. The goal of Coffee and CAM video series is to work through different processes from idea to reality in an informal setting. As we gather more projects and process, we will add these to our playlists. Our first episodes cover building clutch mounts, hydraulic reservoirs and a custom shifter for a six-speed swap. We also bring in a 3D scanner to show how this process is handled for an upcoming project that will be built, tested and installed throughout the year. You may even see the parts being machined live at SOLIDWORKS World 2019 in Dallas! We will also be visiting customers and talking with them about how they make components and work through challenges in manufacturing and processes that they are implementing to be a leader in their industry. Stay tuned as we help showcase what makes design and production so amazing!